Nagaraja (Naga) Prakasam is a versatile and passionate leader with 26 years of global experience (a decade in the USA and a decade+ in India). As a full time angel investor, he has invested in 21 start-ups, serves 12 boards, has seen 5 exits 1 write-off. He spearheaded Impact thinking in Indian Angel Network and co-founded IAN Impact. His personal mantra is “Start-ups should focus on India’s strength – people, problems, tech”. He believes in a hands on approach and travels extensively in rural areas understanding the need first hand. He is sought after as a thought leader in the impact space and has inspired many students as a motivational speaker in a number of colleges. Featured by Forbes magazine as Social investor engineering social change. Delivered C.K.Prahalad memorial lecture at WorldCoCreationDay. Chaired “Green Revolution 2.0 – Food Security and the role of innovation” at 10th CII Innovation Summit. Spoke at launch of Bank of Innovations and Ideas (BII) by Ministry of Rural Development along with Dr.Abdul Kalam. Awarded “Successful Person 2015/Vetri Tamilar” by Sangam4, Chennai. Proud to join CM of Rajasthan to unveil the state startup policy. Partner at Acumen – New York based $100M impact venture fund and serves as an independent director in one of its portfolio company, Guardian – a micro finance venture working in Water and Sanitation. 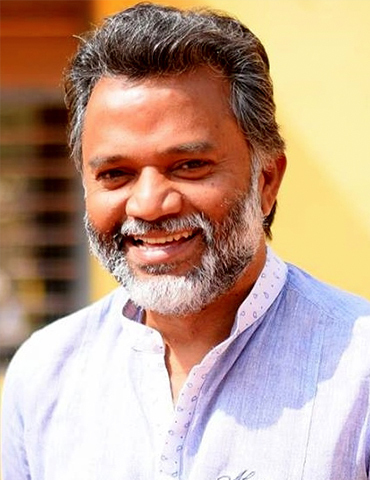 Founder Chairman of Native Angels Network (NAN) by Nativelead foundation (NLF) – enables entrepreneurship in non-metros of Tamilnadu, with the vision to Enable, Nurture, Incubate, Invest. NAN grown into 220 angels in Madurai, Trichy, Coimbatore, Erode, Tuticorin, Karur, Tirunelveli with 6 investments, touching 120 startups, 37 colleges. Advisor and Mentor-in-Residence at NSRCEL, IIMB; Investment Committee, IIT Madras Incubator; Mentor at CIIE, IIMA; Board Member, Madurai Agri-Business Incubator, TNAU-NABARD. Expert jury panel at Karnataka Government Elevate, Forbes 30 under 30. Advisor – aIdea, NAARM Agri Incubator; Startup Oasis; Change Alliance; VIT – TBI; CARE School of Business, Trichy; IIHR-Bangalore. 21 Investments: Carbon Masters, Nativespecial, Neurosynaptic, Lumiere Organic, Guardian (exited), SP Robotics, Saahas, Freshworld (series A), Uniphore (series B, partial exit), GoCoOp (series A), Happy Hens, Rain Stock, Sattva Consulting, GramVaani (merged with OnMobile), Consure (series A) , Orangescape, Gamiana (exited), Stayzilla (partially exited), UnBxd (exited), Druva (series D), Solaron (exited). Served as President of Atlanta and San Diego Chapters for the Association for India’s Development (AID). AID received Times of India Social Impact award in 2011 from the Prime Minister. Earlier in his career, as President of CDC Software (world’s 12th largest enterprise software company) South & Southeast Asia, managed sales and India Engineering Centre of Excellence. During the 16 years tenure, grew from Systems Engineer to President involved in growing the company from $50M to $400M with ups and downs. At the age of 35, youngest executive to be given country head responsibilities. Intrapreneurial culture that he inculcated made the company to be shortlisted for prestigious NExT Practices Award for “Promoting Innovation & Entrepreneurship” by NASSCOM. Currently residing in Bangalore, Naga holds a B.E. degree from Thiagarajar College of Engineering, India and an MBA degree from the San Diego/Kennesaw State University, United States.